Acquired Citizenship - Citizenship conferred at birth on children born abroad to a U.S. citizen parent(s). Adjustment to Immigrant Status - Procedure allowing certain aliens already in the United States to apply for immigrant status. Aliens admitted to the United States in a nonimmigrant, refugee, or parolee category may have their status changed to that of lawful permanent resident if they are eligible to receive an immigrant visa and one is immediately available. In such cases, the alien is counted as an immigrant as of the date of adjustment, even though the alien may have been in the United States for an extended period of time. Beginning in October 1994, section 245(i) of the INA allowed illegal residents who were eligible for immigrant status to remain in the United States and adjust to permanent resident status by applying at a USCIS office and paying an additional penalty fee. Section 245(i) is no longer available unless the alien is the beneficiary of a petition under section 204 of the Act or of an application for a labor certification under section 212(a)(5)(A), filed on or before April 30, 2001. And, if filed after January 1, 1998, the alien must have been present in the United States on December 21, 2000. Prior to October 1994, most illegal residents were required to leave the United States and acquire a visa abroad from the Department of State as they are again now. Agricultural Worker - As a nonimmigrant class of admission, an alien coming temporarily to the United States to perform agricultural labor or services, as defined by the Secretary of Labor. Alien - Any person not a citizen or national of the United States. Amerasian Act - Public Law 97-359 (Act of 10/22/82) provides for the immigration to the United States of certain Amerasian children. In order to qualify for benefits under this law, an alien must have been born in Cambodia, Korea, Laos, Thailand, or Vietnam after December 31, 1950, and before October 22, 1982, and have been fathered by a U.S. citizen. Amerasian (Vietnam) - Immigrant visas are issued to Amerasians under Public Law 100-202 (Act of 12/22/87), which provides for the admission of aliens born in Vietnam after January 1, 1962, and before January 1, 1976, if the alien was fathered by a U.S. citizen. Spouses, children, and parents or guardians may accompany the alien. Application Support Centers - USCIS Offices fingerprint applicants for immigration benefits. Some USCIS applications, such as the Application for Naturalization or the Application to Register Permanent Residence or Adjust Status, require the USCIS to conduct a FBI fingerprint background check on the applicant. Most applicants that require a background check will be scheduled to appear at a specific Application Support Center (ASC) or Designated Law Enforcement Agency (DLEA) for fingerprinting. Apprehension - The arrest of a removable alien by U.S. Immigration and Customs Enforcement (ICE). Each apprehension of the same alien in a fiscal year is counted separately. Asylee - An alien in the United States or at a port of entry who is found to be unable or unwilling to return to his or her country of nationality, or to seek the protection of that country because of persecution or a well-founded fear of persecution. Persecution or the fear thereof must be based on the alien's race, religion, nationality, membership in a particular social group, or political opinion. For persons with no nationality, the country of nationality is considered to be the country in which the alien last habitually resided. Asylees are eligible to adjust to lawful permanent resident status after one year of continuous presence in the United States. These immigrants are limited to 10,000 adjustments per fiscal year. Beneficiaries - Aliens on whose behalf a U.S. citizen, legal permanent resident, or employer have filed a petition for such aliens to receive immigration benefits from the U.S. Citizenship and Immigration Services. Beneficiaries generally receive a lawful status as a result of their relationship to a U.S. citizen, lawful permanent resident, or U.S. employer. Border Crosser - An alien resident of the United States reentering the country after an absence of less than six months in Canada or Mexico, or a nonresident alien entering the United States across the Canadian border for stays of no more than six months or across the Mexican border for stays of no more than 72 hours. Business Nonimmigrant - An alien coming temporarily to the United States to engage in commercial transactions which do not involve gainful employment in the United States, i.e., engaged in international commerce on behalf of a foreign firm, not employed in the U.S. labor market, and receives no salary from U.S. sources. Cancellation of Removal - A discretionary benefit adjusting an alien's status from that of deportable alien to one lawfully admitted for permanent residence. Application for cancellation of removal is made during the course of a hearing before an immigration judge. Certificate of Citizenship - Identity document proving U.S. citizenship. Certificates of citizenship are issued to derivative citizens and to persons who acquired U.S. citizenship (see definitions for Acquired and Derivative Citizenship). Child - Generally, an unmarried person under 21 years of age who is: a child born in wedlock; a stepchild, provided that the child was under 18 years of age at the time that the marriage creating the stepchild relationship occurred; a legitimated child, provided that the child was legitimated while in the legal custody of the legitimating parent; a child born out of wedlock, when a benefit is sought on the basis of its relationship with its mother, or to its father if the father has or had a bona fide relationship with the child; a child adopted while under 16 years of age who has resided since adoption in the legal custody of the adopting parents for at least 2 years; or an orphan, under 16 years of age, who has been adopted abroad by a U.S. citizen or has an immediate-relative visa petition submitted in his/her behalf and is coming to the United States for adoption by a U.S. citizen. Civil Surgeon - A medically trained, licensed and experienced doctor practicing in the U.S. who is certified by USCIS (U.S. Citizenship and Immigration Service). These medical professionals receive U.S. immigration-focused training in order to provide examinations as required by the CDC (Center for Disease Control and Prevention) and USCIS. For medical examinations given overseas, please see Panel Physician. IMPORTANT: medical examinations will not be recognized if they are given by a doctor in the U.S. who is not a Civil Surgeon; please make sure that your appointment is with a Civil Surgeon or your results and documents will be invalid. Conditional Resident - Any alien granted permanent resident status on a conditional basis (e.g., a spouse of a U.S. citizen; an immigrant investor), who is required to petition for the removal of the set conditions before the second anniversary of the approval of his or her conditional status. Crewman - A foreign national serving in a capacity required for normal operations and service on board a vessel or aircraft. Crewmen are admitted for twenty-nine days, with no extensions. Two categories of crewmen are defined in the INA: D1, departing from the United States with the vessel or aircraft on which he arrived or some other vessel or aircraft; and D2, departing from Guam with the vessel on which he arrived. Cuban/Haitian Entrant - Status accorded 1) Cubans who entered illegally or were paroled into the United States between April 15, 1980, and October 10, 1980, and 2) Haitians who entered illegally or were paroled into the country before January 1, 1981. Cubans and Haitians meeting these criteria who have continuously resided in the United States since before January 1, 1982, and who were known to Immigration before that date, may adjust to permanent residence under a provision of the Immigration Control and Reform Act of 1986. Deferred Inspection - See Parolee. Departure Under Safeguards - The departure of an illegal alien from the United States which is physically observed by a U.S. Immigration and Customs Enforcement (ICE) official. Deportable Alien - An alien in and admitted to the United States subject to any grounds of removal specified in the Immigration and Nationality Act. This includes any alien illegally in the United States, regardless of whether the alien entered the country by fraud or misrepresentation or entered legally but subsequently violated the terms of his or her nonimmigrant classification or status. Deportation - The formal removal of an alien from the United States when the alien has been found removable for violating the immigration laws. Deportation is ordered by an immigration judge without any punishment being imposed or contemplated. Prior to April 1997 deportation and exclusion were separate removal procedures. The Illegal Immigration Reform and Immigrant Responsibility Act of 1996 consolidated these procedures. After April 1, 1997, aliens in and admitted to the United States may be subject to removal based on deportability. Now called Removal, this function is managed by U.S. Immigration and Customs Enforcement. Derivative Citizenship - Citizenship conveyed to children through the naturalization of parents or, under certain circumstances, to foreign-born children adopted by U.S. citizen parents, provided certain conditions are met. District - Geographic areas into which the United States and its territories are divided for the Immigration and Naturalization Service's field operations or one of three overseas offices located in Rome, Bangkok, and Mexico City. Each District Office, headed by a District Director, has a specified service area that may include part of a state, an entire state, or many states. District Offices are where most USCIS field staff are located. District Offices are responsible for providing certain immigration services and benefits to people resident in their service area, and for enforcing immigration laws in that jurisdiction. Certain applications are filed directly with District Offices, many kinds of interviews are conducted at these Offices, and USCIS staff is available to answer questions, provide forms, etc. Diversity - A category of immigrants replacing the earlier categories for nationals of underrepresented countries and countries adversely "affected" by the Immigration and Nationality Act Amendments of 1965 (P.L. 89-236). The annual limit on diversity immigration was 40,000 during fiscal years 1992-94, under a transitional diversity program, and 55,000 beginning in fiscal year 1995, under a permanent diversity program. Docket Control - The USCIS mechanism for tracking the case status of potentially removable aliens. Employer Sanctions - The employer sanctions provision of the Immigration Reform and Control Act of 1986 prohibits employers from hiring, recruiting, or referring for a fee aliens known to be unauthorized to work in the United States. Violators of the law are subject to a series of civil fines for violations or criminal penalties when there is a pattern or practice of violations. Exchange Visitor - An alien coming temporarily to the United States as a participant in a program approved by the Secretary of State for the purpose of teaching, instructing or lecturing, studying, observing, conducting research, consulting, demonstrating special skills, or receiving training. Exclusion - Prior to the Illegal Immigration Reform and Immigrant Responsibility Act of 1996, exclusion was the formal term for denial of an alien's entry into the United States. The decision to exclude an alien was made by an immigration judge after an exclusion hearing. Since April 1, 1997, the process of adjudicating inadmissibility may take place in either an expedited removal process or in removal proceedings before an immigration judge. Fiance(e)s of U.S. Citizen - A nonimmigrant alien coming to the United States to conclude a valid marriage with a U.S. citizen within ninety days after entry. Files Control Office - An USCIS field office--either a district (including USCIS overseas offices) or a suboffice of that district--where alien case files are maintained and controlled. Fiscal Year - Currently, the twelve-month period beginning October 1 and ending September 30. Historically, until 1831 and from 1843-49, the twelve-month period ending September 30 of the respective year; from 1832-42 and 1850-67, ending December 31 of the respective year; from 1868-1976, ending June 30 of the respective year. The transition quarter (TQ) for 1976 covers the three-month period, July-September 1976. Foreign Government Official - As a nonimmigrant class of admission, an alien coming temporarily to the United States who has been accredited by a foreign government to function as an ambassador, public minister, career diplomatic or consular officer, other accredited official, or an attendant, servant or personal employee of an accredited official, and all above aliens' spouses and unmarried minor (or dependent) children. Foreign Information Media Representative - As a nonimmigrant class of admission, an alien coming temporarily to the United States as a bona fide representative of foreign press, radio, film, or other foreign information media and the alien's spouse and unmarried minor (or dependent) children. Foreign State of Chargeability - The independent country to which an immigrant entering under the preference system is accredited. No more than 7 percent of the family-sponsored and employment-based visas may be issued to natives of any one independent country in a fiscal year. No one dependency of any independent country may receive more than 2 percent of the family-sponsored and employment-based visas issued. Since these limits are based on visa issuance rather than entries into the United States, and immigrant visas are valid for 6 months, there is not total correspondence between these two occurrences. Chargeability is usually determined by country of birth. Exceptions are made to prevent the separation of family members when the limitation for the country of birth has been met. General Naturalization Provisions - The basic requirements for naturalization that every applicant must meet, unless a member of a special class. General provisions require an applicant to be at least 18 years of age and a lawful permanent resident with five years of continuous residence in the United States, have been physically present in the country for half that period, and establish good moral character for at least that period. Geographic Area of Chargeability - Any one of five regions--Africa, East Asia, Latin America and the Caribbean, Near East and South Asia, and the former Soviet Union and Eastern Europe--into which the world is divided for the initial admission of refugees to the United States. Annual consultations between the Executive Branch and the Congress determine the ceiling on the number of refugees who can be admitted to the United States from each area. Beginning in fiscal year 1987, an unallocated reserve was incorporated into the admission ceilings. Hemispheric Ceilings - Statutory limits on immigration to the United States in effect from 1968 to October 1978. Mandated by the Immigration and Nationality Act Amendments of 1965, the ceiling on immigration from the Eastern Hemisphere was set at 170,000, with a per-country limit of 20,000. Immigration from the Western Hemisphere was held to 120,000, without a per-country limit until January 1, 1977. The Western Hemisphere was then made subject to a 20,000 per country limit. Effective October 1978, the separate hemisphere limits were abolished in favor of a worldwide limit. Immediate Relatives - Certain immigrants who because of their close relationship to U.S. citizens are exempt from the numerical limitations imposed on immigration to the United States. Immediate relatives are: spouses of citizens, children (under 21 years of age and unmarried) of citizens, and parents of citizens 21 years of age or older. Immigrant - See Permanent Resident Alien. Immigration Act of 1990 - Public Law 101-649 (Act of November 29, 1990), which increased the limits on legal immigration to the United States, revised all grounds for exclusion and deportation, authorized temporary protected status to aliens of designated countries, revised and established new nonimmigrant admission categories, revised and extended the Visa Waiver Pilot Program, and revised naturalization authority and requirements. Immigration Judge - An attorney appointed by the Attorney General to act as an administrative judge within the Executive Office for Immigration Review. They are qualified to conduct specified classes of proceedings, including removal proceedings. INA - See Immigration and Nationality Act. Immigration and Nationality Act - The Act (INA), which, along with other immigration laws, treaties, and conventions of the United States, relates to the immigration, temporary admission, naturalization, and removal of aliens. Immigration Marriage Fraud Amendments of 1986 - Public Law 99-639 (Act of 11/10/86), which was passed in order to deter immigration-related marriage fraud. Its major provision stipulates that aliens deriving their immigrant status based on a marriage of less than two years are conditional immigrants. To remove their conditional status the immigrants must apply at an U.S. Citizenship and Immigration Services office during the 90-day period before their second-year anniversary of receiving conditional status. If the aliens cannot show that the marriage through which the status was obtained was and is a valid one, their conditional immigrant status may be terminated and they may become deportable. Immigration Reform and Control Act (IRCA) of 1986 - Public Law 99-603 (Act of 11/6/86), which was passed in order to control and deter illegal immigration to the United States. Its major provisions stipulate legalization of undocumented aliens who had been continuously unlawfully present since 1982, legalization of certain agricultural workers, sanctions for employers who knowingly hire undocumented workers, and increased enforcement at U.S. borders. Inadmissible - An alien seeking admission at a port of entry who does not meet the criteria in the INA for admission. The alien may be placed in removal proceedings or, under certain circumstances, allowed to withdraw his or her application for admission. Industrial Trainee - See Temporary Worker. International Representative - As a nonimmigrant class of admission, an alien coming temporarily to the United States as a principal or other accredited representative of a foreign government (whether officially recognized or not recognized by the United States) to an international organization, an international organization officer or employee, and all above aliens' spouses and unmarried minor (or dependent) children. Intracompany Transferee - An alien, employed for at least one continuous year out of the last three by an international firm or corporation, who seeks to enter the United States temporarily in order to continue to work for the same employer, or a subsidiary or affiliate, in a capacity that is primarily managerial, executive, or involves specialized knowledge, and the alien's spouse and minor unmarried children. IRCA - See Immigration Reform and Control Act of 1986. Labor Certification - Requirement for U.S. employers seeking to employ certain persons whose immigration to the United States is based on job skills or nonimmigrant temporary workers coming to perform services for which qualified authorized workers are unavailable in the United States. Labor certification is issued by the Secretary of Labor and contains attestations by U.S. employers as to the numbers of U.S. workers available to undertake the employment sought by an applicant, and the effect of the alien's employment on the wages and working conditions of U.S. workers similarly employed. Determination of labor availability in the United States is made at the time of a visa application and at the location where the applicant wishes to work. Lawful Permanent Resident (LPR) - Any person not a citizen of the United States who is residing the in the U.S. under legally recognized and lawfully recorded permanent residence as an immigrant. Also known as "Permanent Resident Alien," "Resident Alien Permit Holder," and "Green Card Holder." Legalization Dependents - A maximum of 55,000 visas were issued to spouses and children of aliens legalized under the provisions of the Immigration Reform and Control Act of 1986 in each of fiscal years 1992-94. Legalized Aliens - Certain illegal aliens who were eligible to apply for temporary resident status under the legalization provision of the Immigration Reform and Control Act of 1986. To be eligible, aliens must have continuously resided in the United States in an unlawful status since January 1, 1982, not be excludable, and have entered the United States either 1) illegally before January 1, 1982, or 2) as temporary visitors before January 1, 1982, with their authorized stay expiring before that date or with the Government's knowledge of their unlawful status before that date. Legalization consists of two stages--temporary and then permanent residency. In order to adjust to permanent status aliens must have had continuous residence in the United States, be admissible as an immigrant, and demonstrate at least a minimal understanding and knowledge of the English language and U.S. history and government. Medical and Legal Parolee - See Parolee. Medical Waiver - A medical waiver permits an immigration applicant to be allowed into, or remain in the United States despite having a health condition identified as grounds of inadmissibility. Terms and conditions can be applied to a medical waiver on a case by case basis. Metropolitan Statistical Areas (MSAs) - MSAs consist of a core area with a large population and adjacent communities having a high degree of social and economic integration with the core. They are defined by the U.S. Office of Management and Budget (OMB). MSAs are generally counties (cities and towns in New England) containing at least one city or urbanized area with a population of at least 50,000 and a total metropolitan population of at least 100,000 (75,000 in New England). MSAs of one million or more population may be recognized as Consolidated Metropolitan Statistical Areas (CMSAs). Primary Metropolitan Statistical Areas (PSMAs) are component areas within MSAs. New England County Metropolitan Areas (NECMAs) are the county based metropolitan alternative of the New England states for the city and town based MSAs and CMSAs. Migrant - A person who leaves his/her country of origin to seek residence in another country. NACARA - Nicaraguan Adjustment and Central American Relief Act. National - A person owing permanent allegiance to a state. NATO Official - As a nonimmigrant class of admission, an alien coming temporarily to the United States as a member of the armed forces or as a civilian employed by the armed forces on assignment with a foreign government signatory to NATO (North Atlantic Treaty Organization), and the alien's spouse and unmarried minor (or dependent) children. Naturalization - The conferring, by any means, of citizenship upon a person after birth. Naturalization Application - The form used by a lawful permanent resident to apply for U.S. citizenship. The application is filed with U.S. Citizenship and Immigration Services at the Service Center with jurisdiction over the applicant's place of residence. Nonimmigrant - An alien who seeks temporary entry to the United States for a specific purpose. The alien must have a permanent residence abroad (for most classes of admission) and qualify for the nonimmigrant classification sought. The nonimmigrant classifications include: foreign government officials, visitors for business and for pleasure, aliens in transit through the United States, treaty traders and investors, students, international representatives, temporary workers and trainees, representatives of foreign information media, exchange visitors, fiance(e)s of U.S. citizens, intracompany transferees, NATO officials, religious workers, and some others. Most nonimmigrants can be accompanied or joined by spouses and unmarried minor (or dependent) children. 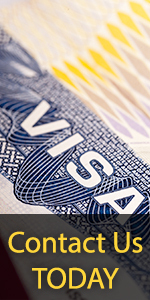 Nonpreference Category - Nonpreference visas were available to qualified applicants not entitled to a visa under the preferences until the category was eliminated by the Immigration Act of 1990. Nonpreference visas for persons not entitled to the other preferences had not been available since September 1978 because of high demand in the preference categories. An additional 5,000 nonpreference visas were available in each of fiscal years 1987 and 1988 under a provision of the Immigration Reform and Control Act of 1986. This program was extended into 1989, 1990, and 1991 with 15,000 visas issued each year. Aliens born in countries from which immigration was adversely affected by the Immigration and Nationality Act Amendments of 1965 (Public Law 89-236) were eligible for the special nonpreference visas. North American Free-Trade Agreement (NAFTA) - Public Law 103-182 (Act of 12/8/93), superseded the United States-Canada Free-Trade Agreement as of 1/1/94. It continues the special, reciprocal trading relationship between the United States and Canada (see United States-Canada Free-Trade Agreement), and establishes a similar relationship with Mexico. Numerical Limit, Exempt from - Those aliens accorded lawful permanent residence who are exempt from the provisions of the flexible numerical limit of 675,000 set by the Immigration Act of 1990. Exempt categories include immediate relatives of U.S. citizens, refugees, asylees (limited to 10,000 per year by section 209(b) of the Immigration and Nationality Act), Amerasians, aliens adjusted under the legalization provisions of the Immigration Reform and Control Act of 1986, and certain parolees from the former Soviet Union and Indochina. Nursing Relief Act of 1989 - Public Law 101-238 (Act of 12/18/89), provides for the adjustment to permanent resident status of certain nonimmigrants who as of September 1, 1989, had H-1 nonimmigrant status as registered nurses; who had been employed in that capacity for at least 3 years; and whose continued nursing employment meets certain labor certification requirements. Occupation - For an alien entering the United States or adjusting without a labor certification, occupation refers to the employment held in the country of last legal residence or in the United States. For an alien with a labor certification, occupation is the employment for which certification has been issued. Orphan - The Immigration and Nationality Act provides a definition of an orphan for the purposes of immigration to the United States. A child may be considered an orphan because of the death or disappearance of, abandonment or desertion by, or separation or loss from, both parents. The child of an unwed mother or surviving parent may be considered an orphan if that parent is unable to care for the child properly and has, in writing, irrevocably released the child for emigration and adoption. The child of an unwed mother may be considered an orphan, as long as the mother does not marry (which would result in the child's having a stepfather) and as long as the child's biological father has not legitimated the child. If the father legitimates the child or the mother marries, the mother is no longer considered a sole parent. The child of a surviving parent may also be an orphan if the surviving parent has not married since the death of the other parent (which would result in the child's having a stepfather or stepmother). Note: Prospective adoptive parents should be sure that a child fits the definition of 'orphan' before adopting a child from another country, because not all children adopted abroad meet the definition of 'orphan,' and therefore may not be eligible to immigrate to the United States. Out of Wedlock (born out of wedlock) - A child born of parents who were not legally married to each other at that time. Panama Canal Act Immigrants - Three categories of special immigrants established by Public Law 96-70 (Act of 9/27/79): 1) certain former employees of the Panama Canal Company or Canal Zone Government, their spouses and accompanying children; 2) certain former employees of the U.S. Government in the Panama Canal Zone who are Panamanian nationals, their spouses and children; and 3) certain former employees of the Panama Canal Company or Canal Zone Government on April 1, 1979, their spouses and children. The Act provides for admission of a maximum of 15,000 immigrants, at a rate of no more than 5,000 each year. Panel Physician ' A medically trained, licensed and experienced doctor practicing overseas who is appointed by the local U.S. Embassy or Consulate. These medical professionals receive U.S. immigration-focused training in order to provide examinations as required by the CDC (Center for Disease Control and Prevention) and USCIS (U.S. Citizenship and Immigration Services). For medical examinations given in the U.S., please see Civil Surgeon. 1. Deferred inspection: authorized at the port upon alien's arrival; may be conferred by an immigration inspector when aliens appear at a port of entry with documentation, but after preliminary examination, some question remains about their admissibility which can best be answered at their point of destination. 2. Advance parole: authorized at an USCIS District office in advance of alien's arrival; may be issued to aliens residing in the United States in other than lawful permanent resident status who have an unexpected need to travel and return, and whose conditions of stay do not otherwise allow for readmission to the United States if they depart. 3. Port-of-entry parole: authorized at the port upon alien's arrival; applies to a wide variety of situations and is used at the discretion of the supervisory immigration inspector, usually to allow short periods of entry. Examples include allowing aliens who could not be issued the necessary documentation within the required time period, or who were otherwise inadmissible, to attend a funeral and permitting the entry of emergency workers, such as fire fighters, to assist with an emergency. 4. Humanitarian parole: authorized at USCIS headquarters or overseas District Offices for "urgent humanitarian reasons" specified in the law. It is used in cases of medical emergency and comparable situations. 5. Significant Public Benefit Parole: authorized at USCIS headquarters Office of International Affairs for "significant public benefit" specified in the law. It is generally used for aliens who enter to take part in legal proceedings when there is a benefit to the government. These requests must be submitted by a law enforcement agency. 6. Overseas parole: authorized at an USCIS District or suboffice while the alien is still overseas; designed to constitute long-term admission to the United States. In recent years, most of the aliens USCIS has processed through overseas parole have arrived under special legislation or international migration agreements. Per-Country Limit - The maximum number of family-sponsored and employment-based preference visas that can be issued to citizens of any country in a fiscal year. The limits are calculated each fiscal year depending on the total number of family-sponsored and employment-based visas available. No more than 7 percent of the visas may be issued to natives of any one independent country in a fiscal year; no more than 2 percent may issued to any one dependency of any independent country. The per-country limit does not indicate, however, that a country is entitled to the maximum number of visas each year, just that it cannot receive more than that number. Because of the combined workings of the preference system and per-country limits, most countries do not reach this level of visa issuance. Permanent Resident - Any person not a citizen of the United States who is residing in the U.S. under legally recognized and lawfully recorded permanent residence as an immigrant. Also known as "Permanent Resident Alien", "Lawful Permanent Resident," "Resident Alien Permit Holder," and "Green Card Holder." Permanent Resident Alien - an alien admitted to the United States as a lawful permanent resident. Permanent residents are also commonly referred to as immigrants; however, the Immigration and Nationality Act (INA) broadly defines an immigrant as any alien in the United States, except one legally admitted under specific nonimmigrant categories (INA section 101(a)(15)). An illegal alien who entered the United States without inspection, for example, would be strictly defined as an immigrant under the INA but is not a permanent resident alien. Lawful permanent residents are legally accorded the privilege of residing permanently in the United States. They may be issued immigrant visas by the Department of State overseas or adjusted to permanent resident status by U.S. Citizenship and Immigration Services in the United States. Port of Entry - Any location in the United States or its territories that is designated as a point of entry for aliens and U.S. citizens. All district and files control offices are also considered ports, since they become locations of entry for aliens adjusting to immigrant status. Pre-inspection - Complete immigration inspection of airport passengers before departure from a foreign country. No further immigration inspection is required upon arrival in the United States other than submission of Form I-94 for nonimmigrant aliens. Preference System (Immigration Act of 1990) - The nine categories since fiscal year 1992 among which the family-sponsored and employment-based immigrant preference visas are distributed. The family-sponsored preferences are: 1) unmarried sons and daughters of U.S. citizens; 2) spouses, children, and unmarried sons and daughters of permanent resident aliens; 3) married sons and daughters of U.S. citizens; 4) brothers and sisters of U.S. citizens. The employment-based preferences are: 1) priority workers (persons of extraordinary ability, outstanding professors and researchers, and certain multinational executives and managers); 2) professionals with advanced degrees or aliens with exceptional ability; 3) skilled workers, professionals (without advanced degrees), and needed unskilled workers; 4) special immigrants; and 5) employment creation immigrants (investors). Principal Alien - The alien who applies for immigrant status and from whom another alien may derive lawful status under immigration law or regulations (usually spouses and minor unmarried children). Priority Date - In the USCIS Immigrant visa petition application process, the priority date is the date the petition was filed. If the alien relative has a priority date on or before the date listed in the visa bulletin, then he or she is currently eligible for a visa. Refugee - Any person who is outside his or her country of nationality who is unable or unwilling to return to that country because of persecution or a well-founded fear of persecution. Persecution or the fear thereof must be based on the alien's race, religion, nationality, membership in a particular social group, or political opinion. People with no nationality must generally be outside their country of last habitual residence to qualify as a refugee. Refugees are subject to ceilings by geographic area set annually by the President in consultation with Congress and are eligible to adjust to lawful permanent resident status after one year of continuous presence in the United States. Refugee Approvals - The number of refugees approved for admission to the United States during a fiscal year. Refugee Arrivals - The number of refugees admitted to the United States through ports of entry during a fiscal year. Refugee Authorized Admissions - The maximum number of refugees allowed to enter the United States in a given fiscal year. As set forth in the Refugee Act of 1980 (Public Law 96-212) the President determines the annual figure after consultations with Congress. Refugee-Parolee - A qualified applicant for conditional entry, between February 1970 and April 1980, whose application for admission to the United States could not be approved because of inadequate numbers of seventh preference visas. As a result, the applicant was paroled into the United States under the parole authority granted to the Secretary of Homeland Security. Regional Offices - The three USCIS Regional Offices that supervise the work of USCIS Districts and Border Patrol Sectors. The Regional Directors report to the Associate Director for Operations in USCIS Headquarters, Washington, DC. The three Regional Offices are located in (Eastern Region) Burlington, VT, (Central Region) Dallas, TX, and (Western Region) Laguna Nigel, CA. Registry Date - Aliens who have continuously resided in the United States since January 1, 1972, are of good moral character, and are not inadmissible, are eligible to adjust to legal permanent resident status under the registry provision. Before the Immigration Reform and Control Act of 1986 amended the date, aliens had to have been in the country continuously since June 30, 1948, to qualify. Removal - The expulsion of an alien from the United States. This expulsion may be based on grounds of inadmissibility or deportability. Required Departure - See Voluntary Departure. Resettlement - Permanent relocation of refugees in a place outside their country of origin to allow them to establish residence and become productive members of society there. Refugee resettlement is accomplished with the direct assistance of private voluntary agencies working with the Department of Health and Human Services Office of Refugee Resettlement. Returning Resident - Any Lawful Permanent Resident who has been outside the United States and is returning to the U.S. Also defined as a "special immigrant." If outside of the U.S. for more than 180 days, must apply for readmission to the U.S. If outside of the U.S. for more than one year and is returning to his or her permanent residence in the United States, usually must have a re-entry documentation from USCIS or an immigrant visa from the Department of State. Safe Haven - Temporary refuge given to migrants who have fled their countries of origin to seek protection or relief from persecution or other hardships, until they can return to their countries safely or, if necessary until they can obtain permanent relief from the conditions they fled. Service Centers - Four offices established to handle the filing, data entry, and adjudication of certain applications for immigration services and benefits. The applications are mailed to INS Service Centers -- Service Centers are not staffed to receive walk-in applications or questions. Special Agricultural Workers (SAW) - Aliens who performed labor in perishable agricultural commodities for a specified period of time and were admitted for temporary and then permanent residence under a provision of the Immigration Reform and Control Act of 1986. Up to 350,000 aliens who worked at least 90 days in each of the 3 years preceding May 1, 1986 were eligible for Group I temporary resident status. Eligible aliens who qualified under this requirement but applied after the 350,000 limit was met and aliens who performed labor in perishable agricultural commodities for at least 90 days during the year ending May 1, 1986 were eligible for Group II temporary resident status. Adjustment to permanent resident status is essentially automatic for both groups; however, aliens in Group I were eligible on December 1, 1989 and those in Group II were eligible one year later on December 1, 1990. Special Immigrants - Certain categories of immigrants who were exempt from numerical limitation before fiscal year 1992 and subject to limitation under the employment-based fourth preference beginning in 1992; persons who lost citizenship by marriage; persons who lost citizenship by serving in foreign armed forces; ministers of religion and other religious workers, their spouses and children; certain employees and former employees of the U.S. Government abroad, their spouses and children; Panama Canal Act immigrants; certain foreign medical school graduates, their spouses and children; certain retired employees of international organizations, their spouses and children; juvenile court dependents; and certain aliens serving in the U.S. Armed Forces, their spouses and children. Special Naturalization Provisions - Provisions covering special classes of persons whom may be naturalized even though they do not meet all the general requirements for naturalization. Such special provisions allow: 1) wives or husbands of U.S. citizens to file for naturalization after three years of lawful permanent residence instead of the prescribed five years; 2) a surviving spouse of a U.S. citizen who served in the armed forces to file his or her naturalization application in any district instead of where he/she resides; and 3) children of U.S. citizen parents to be naturalized without meeting certain requirements or taking the oath, if too young to understand the meaning. Other classes of persons who may qualify for special consideration are former U.S. citizens, servicemen, seamen, and employees of organizations promoting U.S. interests abroad. Sponsor - There are many ways to sponsor an alien. The term "sponsor" in the immigration sense, often means to bring to the United States or "petition for". Another meaning of the term "sponsor" is a person who completes Form I-864, Affidavit of Support Under Section 213A of the Act. This type of sponsorship is not, however, the first step in any immigration process. 4. The relative has been scheduled to appear to submit his or her application for an immigrant visa overseas to a Consular Officer (DOS Form OF-230) or is preparing to file for adjustment of status to that of a lawful permanent resident (on Form I-485, Application to Register Permanent Residence or Adjust Status) in the United States. In the case of the overseas relative, you, the petitioner will be informed as to where and when to submit Form I-864. In the case where the relative is in the United States, you, the petitioner will complete Form I-864 and give it to your relative to file along with his or her application for permanent residency. If you are a U.S. citizen and are sponsoring, or petitioning for, your spouse, parents or minor children who are currently in the United States, the above conditions do not need to be met in that exact order. Your relative may file his or her application for adjustment of status to that of a lawful permanent resident at the same time you file the relative petition. If this is your situation, you, the petitioner, must complete Form I-864, Affidavit of Support, and the petition for your relative and give them to your relative to submit with the application for adjustment of status. Stateless - Having no nationality. Stowaway - An alien coming to the United States surreptitiously on an airplane or vessel without legal status of admission. Such an alien is subject to denial of formal admission and return to the point of embarkation by the transportation carrier. Student - As a nonimmigrant class of admission, an alien coming temporarily to the United States to pursue a full course of study in an approved program in either an academic (college, university, seminary, conservatory, academic high school, elementary school, other institution, or language training program) or a vocational or other recognized nonacademic institution. Suboffices - Offices found in some Districts that serve a portion of the District's jurisdiction. A Suboffice, headed by an Officer-in-Charge, provides many services and enforcement functions. Their locations are determined, in part, to increase convenience to INS' customers. Subject to the Numerical Limit - Categories of legal immigrants subject to annual limits under the provisions of the flexible numerical limit of 675,000 set by the Immigration Act of 1990. The largest categories are: family-sponsored preferences; employment-based preferences; and diversity immigrants. Temporary Protected Status (TPS) - Establishes a legislative basis for allowing a group of persons temporary refuge in the United States. Under a provision of the Immigration Act of 1990, the Attorney General may designate nationals of a foreign state to be eligible for TPS with a finding that conditions in that country pose a danger to personal safety due to ongoing armed conflict or an environmental disaster. Grants of TPS are initially made for periods of 6 to 18 months and may be extended depending on the situation. Removal proceedings are suspended against aliens while they are in Temporary Protected Status. Temporary Resident - See Nonimmigrant. 10. R-1, R-2 - temporary workers to perform work in religious occupations and their spouses and children. See other sections of this Glossary for definitions of Exchange Visitor, Intracompany Transferee, and U.S.-Canada or North American Free-Trade Agreement classes of nonimmigrant admission. Transit Alien - An alien in immediate and continuous transit through the United States, with or without a visa, including, 1) aliens who qualify as persons entitled to pass in transit to and from the United Nations Headquarters District and foreign countries and 2) foreign government officials and their spouses and unmarried minor (or dependent) children in transit. Transition Quarter - The three-month period--July 1 through September 30, 1976--between fiscal year 1976 and fiscal year 1977. At that time, the fiscal year definition shifted from July 1-June 30 to October 1-September 30. Treaty Trader or Investor - As a nonimmigrant class of admission, an alien coming to the United States, under the provisions of a treaty of commerce and navigation between the United States and the foreign state of such alien, to carry on substantial trade or to direct the operations of an enterprise in which he/she has invested a substantial amount of capital, and the alien's spouse and unmarried minor children. United States-Canada Free-Trade Agreement - Public Law 100-449 (Act of 9/28/88) established a special, reciprocal trading relationship between the United States and Canada. It provided two new classes of nonimmigrant admission for temporary visitors to the United States-Canadian citizen business persons and their spouses and unmarried minor children. Entry is facilitated for visitors seeking classification as visitors for business, treaty traders or investors, intracompany transferees, or other business people engaging in activities at a professional level. Such visitors are not required to obtain nonimmigrant visas, prior petitions, labor certifications, or prior approval but must satisfy the inspecting officer they are seeking entry to engage in activities at a professional level and that they are so qualified. The United States-Canada Free-Trade Agreement was superseded by the North American Free-Trade Agreement (NAFTA) as of 1/1/94. Visa - A U.S. visa allows the bearer to apply for entry to the U.S. in a certain classification (e.g. student (F), visitor (B), temporary worker (H)). A visa does not grant the bearer the right to enter the United States. The Department of State (DOS) is responsible for visa adjudication at U.S. Embassies and Consulates outside of the U.S. The Department of Homeland Security (DHS), Bureau of Customs and Border Protection (BCBP) immigration inspectors determine admission into, length of stay and conditions of stay in, the U.S. at a port of entry. The information on a nonimmigrant visa only relates to when an individual may apply for entry into the U.S. DHS immigration inspectors will record the terms of your admission on your Arrival/Departure Record (I-94 white or I-94W green) and in your passport. Visa Waiver Program - Allows citizens of certain selected countries, traveling temporarily to the United States under the nonimmigrant admission classes of visitors for pleasure and visitors for business, to enter the United States without obtaining nonimmigrant visas. Admission is for no more than 90 days. The program was instituted by the Immigration Reform and Control Act of 1986 (entries began 7/1/88). Under the Guam Visa Waiver Program, certain visitors from designated countries may visit Guam only for up to 15 days without first having to obtain nonimmigrant visitor visas. Voluntary Departure - The departure of an alien from the United States without an order of removal. The departure may or may not have been preceded by a hearing before an immigration judge. An alien allowed to voluntarily depart concedes removability but does not have a bar to seeking admission at a port-of-entry at any time. Failure to depart within the time granted results in a fine and a ten-year bar to several forms of relief from deportation. Withdrawal - An arriving alien's voluntary retraction of an application for admission to the United States in lieu of a removal hearing before an immigration judge or an expedited removal. Withdrawals are not included in nonimmigrant admission data.